In the tiny northern Santa Cruz County hamlet of Swanton—once the terminus of the Ocean Shore Railroad until 1920—sits the quaint miniature Swanton Pacific Railroad, owned by California Polytechnic State University San Luis Obispo (CalPoly) and operated by the Swanton Pacific Railroad Society. Swanton Pacific is a 19-inch gauge miniature railroad that was founded by Albert "Al" Smith, former mayor of Los Gatos and president of Orchard Supply Hardware, back in 1979. The railroad's three steam locomotives are all 1/3 scale steam engines built by Louis M. MacDermot for the Overfair Railway between 1913 and 1915 (a fourth non-operable engine now sits in the foyer of the California State Railroad Museum). 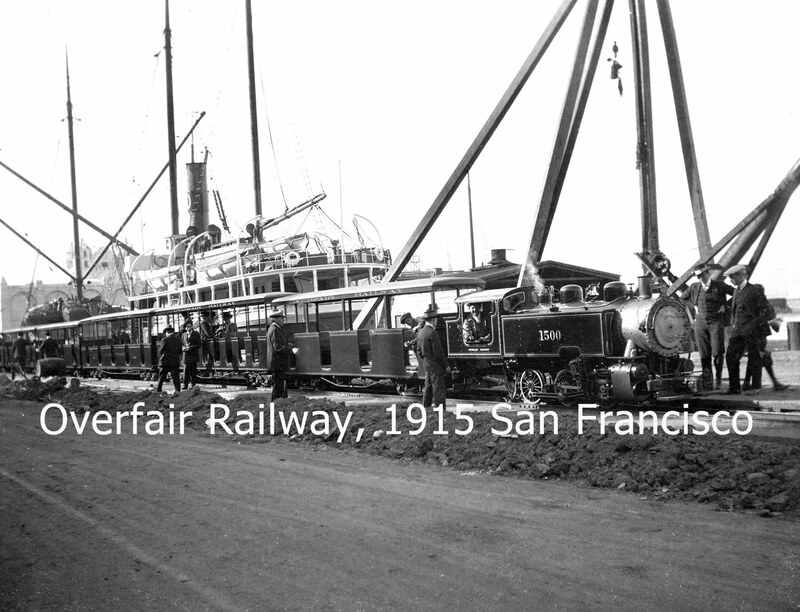 This railway featured in the Panama-Pacific International Exposition at San Francisco. 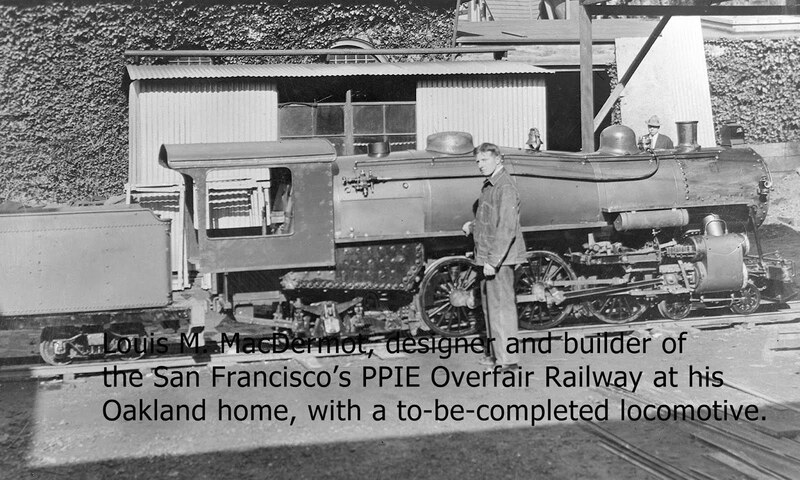 For a number of years, the locomotives sat at MacDermot's home and in storage, but around 1940 he restored one to run as a concession at a local zoo. After Billy Jones had started up his own miniature railroad at his ranch in Los Gatos, MacDermot brought one of his locomotives to the track, but the curves proved to be too tight to adequately operate. Another locomotive operated at the Orange County Fairgrounds for a short time, while at Calistoga the whole fleet was restored for another miniature track. Smith, who previously worked for the Southern Pacific Railroad, purchased the trio of locomotives at auction and began building the railroad on his ranch along Scott Creek north of Davenport. 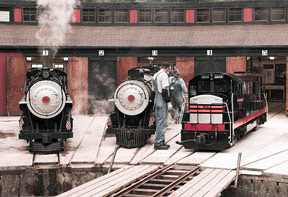 Two additional engines, a steam-powered 1500 switcher (another MacDermot model, although smaller than the others) and a diesel 502, were added to the collection in later years. Around twelve passenger cars and numerous other pieces of rolling stock round out the railroad's collection. All the passenger cars are based on MacDermot designs and parts, but only one car is entirely original. A locomotive rounding a bend at Swanton Pacific Ranch. The 1500 switch engine at the Panama-Pacific International Exposition. The site of Swanton Pacific Ranch, which Smith purchased in 1978, has a long history. Originally the 1843 Rancho Agua Puerca y las Trancas (Hog Water and the Bars), the property fell into the hands of Ramon Rodriguez and Francisco Alviso. After California became a state, the land transferred to James Archibald. In 1875, when Archibald died, the land was divided between Ambrogio Gianone and Joseph Bloom. All of these men used it primarily for farming and ranching. 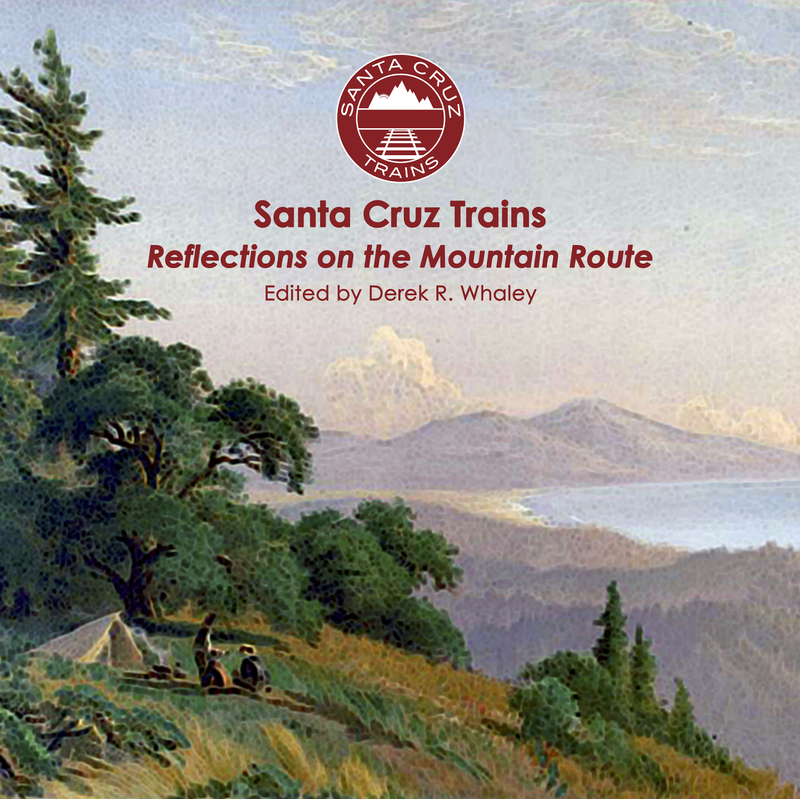 Fred Swanton purchased much of the water rights in the area in the 1880s and dammed Big Creek and Mill Creek to power Santa Cruz via his Central Coast Counties Gas & Electric Company. This operated into the new century until a fire destroyed the feeder flume. By this point, the settlement had taken on the name Laurel Grove. 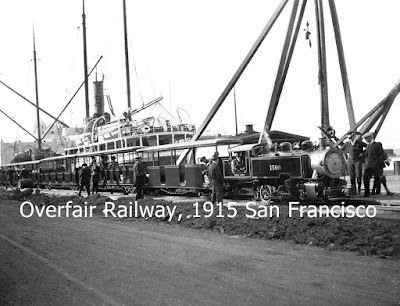 The Ocean Shore Railroad diverted a spur up Scotts Creek around 1908 to cater to the San Vicente Lumber Company lands above the village. Over the next fifteen years the company would harvest most of the timber on the east side of the creek. The Ocean Shore terminated at the Swanton Inn, which served as Swanton's post office, general store, hotel, and saloon. Because of this, the railroad named the station "Swanton", a name that stuck. After the railroad left in 1923 and the post office closed in 1930, the village declined into nothing more than a sparse population area. In 1938 the Poletti and Morelli families purchased the land from its previous owners, using it mostly for cattle and dairy. Eventually John and Bob Musitelli took over both properties. By the 1950s, a portion of the property was converted for use by the Boy Scouts of America as a summer camp. It was this property that Smith visited when he was young and which he purchased in 1978 to begin Swanton Pacific Ranch. Over the next thirty years, Smith would expand his property to cover around 3,200 acres. Swanton Pacific Ranch features a barn from 1874 and a cheese house dating to 1867, making it one of the oldest buildings in the county. The latter is on the County Register of Historical Buildings. Swanton Pacific Ranch was inherited by CalPoly in 1993 when Al Smith willed it to the university. 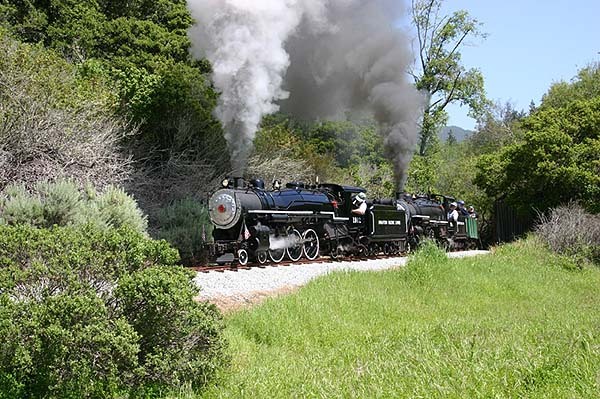 The railroad remains a separate non-profit venture and railroad rides are always free, although the opportunities to visit the ranch are limited to specific reservation-based events, regular monthly workdays, and by appointment. Check their website for more details or call them at 831-423-8204. Biemiller, Lawrence. "Stories from "The Chronicle": Cal Poly's Little Love Affair with Steam". The Chronicle of Higher Education. 2005. Smith, Albert B. "Swanton Pacific Ranch: Mission & History". 1990. Swanton Pacific Railroad, CalPoly San Luis Obispo. 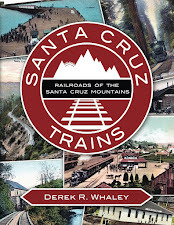 This Santa Cruz train has been taking all of their old history there so that people will not forget their history like they have it in Santa Cruz County Recorder and they might know how those old trains are looking and how it works.